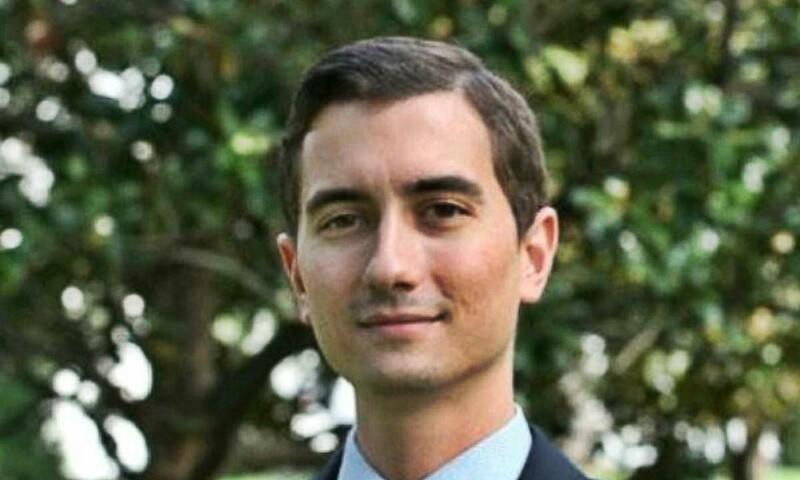 There's breaking news coming out of DC, where a Democratic Party aide, 27-year-old Jackson Cosko, has been arrested for doxing Republican Senators. Doxing, a vile form of attack that I've personally experienced for my support of President Trump, is the release of one's private information including their address. Recently, there's a desire from the Democratic Party to push hatred and violence against those who support the ideals of the Trump Administration. At The Goldwater, I've come under attack for being a pro-Conservative American journalist, having the identities of my family and friends released by social media accounts hiding behind anonymity, which is known as doxing. “Doxing” is the criminal act of exposing private information about individuals to the internet, usually with the intent of bringing them embarrassment, harassment, or even physical harm. This also happened during the Kavanaugh hearings, to several members of the Senate Judiciary Committee hearing for Christine Blasey Ford and Brett Kavanaugh, where only the families of GOP members were put at risk. The attack led to Capitol Police immediately seeking the apprehension of the leakers responsible for endangering the lives of Conservatives, and their innocent families. 27-year-old Jackson Cosko is now charged with making public restricted personal information, witness tampering, threats in interstate communications, unauthorized access of a government computer, identity theft, second-degree burglary, and unlawful entry. Last Thursday, just as SCOTUS Nominee Brett Kavanaugh was set to testify before the US Senate, there was a criminal plot unfolding. Inside of the House of Representatives, someone connected to a House computer had secretly planned the editing of Wikipedia. While they made changes to reveal the private names and addresses of prominent Judiciary Committee Republicans, the world was focused on the Kavanaugh testimony, but the internet’s underground uncovered the doxing attack. Personal information of Republican Senators Lindsey Graham, Mike Lee and Orrin Hatch were posted to Wikipedia, endangering the safety and security of their family members nationwide. All three targeted GOP members from the Senate Judiciary Committee were the ones who questioned both Dr. Christine Blasey Ford and Kavanaugh regarding Ford’s allegations, which the majority of Americans believe is a lie. The “home” phone number listed for Graham would then redirect the callers to Sexual Minority Youth Assistance League (SMYAL), a Washington D.C.-based advocacy group, the first step in uncovering the culprits. “It’s shocking that someone would post Senator Hatch and other Judiciary Committee Republican’s home addresses online, putting their families at risk,” Hatch’s spokesman, Matt Whitlock said at the time. When the incident began, an infamous Republican strategist blamed Representative Maxine Waters (D-CA) via her staff, but Waters adamantly denied the allegations. Jackson A. Cosko, a 27-year-old intern for Representative Sheila Jackson Lee (D-TX), has been arrested by U.S. Capitol Police for “doxing” Republican members of the Senate on Wikipedia during the Brett Kavanaugh hearings before the Senate Judicial Committee last Thursday. Yes, unhinged individuals come from all sides of the spectrum, but the violence perpetrated as of late, alongside the desire to crucify those without due process, comes from the radical left wing of America, as proven above. This type of reprehensible behavior has no place in the American political system, without murder being a likely risk. There are radicals, who when provoked with the efforts of doxing, may actually commit these crimes. Let today's arrest serve as notice for those who would engage in such disgusting behavior of dangerous intimidation tactics. While I feel I should be able to contact my Political Rep's . I don't need their DC addresses released. Regarding their Home Address we just need to know they actually in the Districts they are elected from. I don't have any need to know where they live, eat and dine (within the law) Their DC address is of No Need To Know due to idiots like these and possible Terrorist attacks.